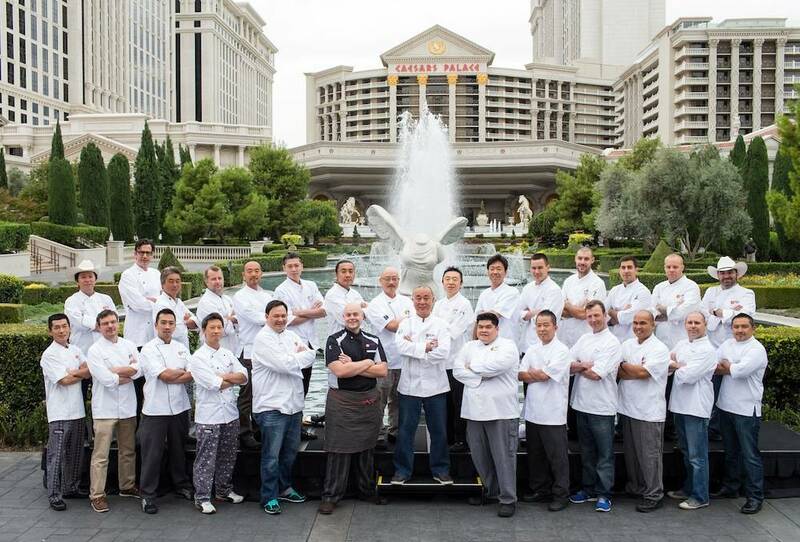 In preparation for Wednesday’s Nobu United event at Nobu Restaurant & Lounge at Caesars Palace, chef Nobu Matsuhisa welcomed 27 of his executive chefs from across the country in front of the Caesars Palace fountains. Afterward, the chefs gathered at the world’s largest Nobu restaurant, next to the first-ever Nobu Hotel inside Caesars Palace, for a Nobu-style breakfast that included the signature Bagel and Lox and Eggs Matsuhisa. All 28 chefs will collaborate tonight to create a seven-course Omakase menu exclusive to Nobu United. 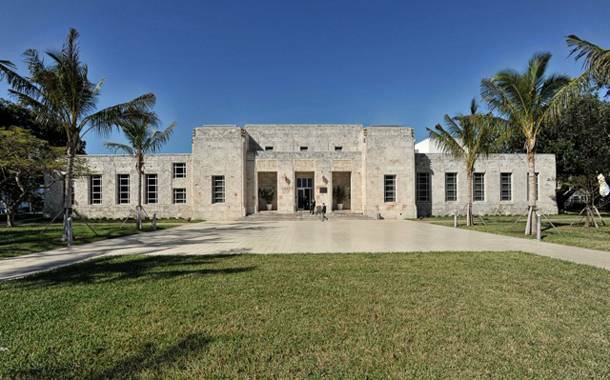 A portion of the evening’s proceeds will benefit Keep Memory Alive. 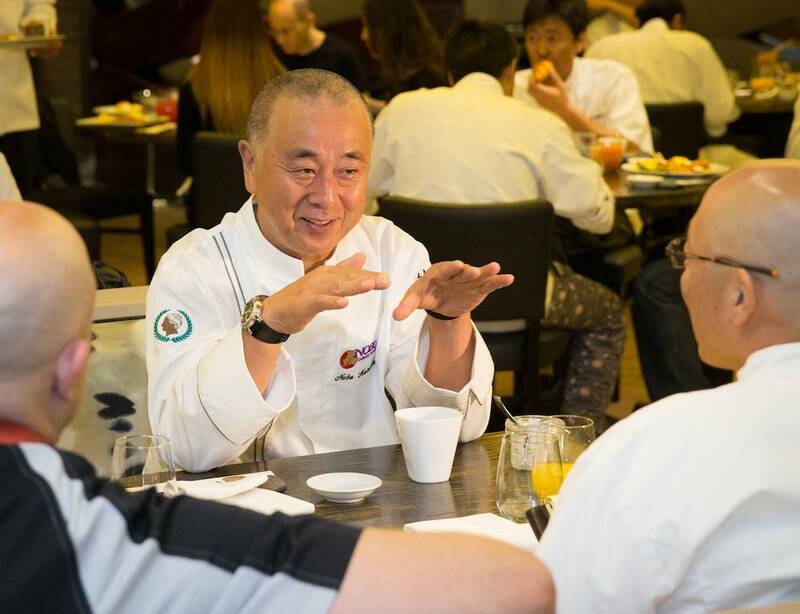 Chef Nobu Matsuhisa enjoys breakfast and prepares for Nobu United with his executive chefs at Nobu Restaurant and Lounge Caesars Palace.